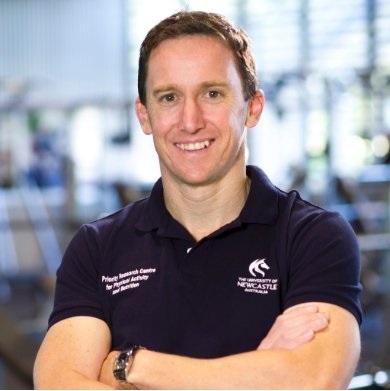 A recent study looked at the long term success of men who had lost weight using the program. On average, the men lost 7.4 kg in the first 3 months. Three years later, the average weight loss was still 4.4 kg, even though they received no additional support! To put this in perspective, these results are comparable to those in a recent U.S. study, where participants received 20 face-to-face sessions during weight loss and 12 follow-up consultations after the program had finished (Svetkey, 2008). 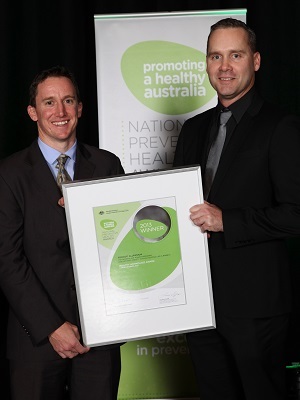 Winner, Best Workplace Health Initiative – large workplace, Australian National Preventive Health Agency -Tomago Aluminium for the Workplace POWER weight loss program, 2013. Hunter Manufacturing Award – Excellence in Safety to Tomago Aluminium for the Workplace POWER program, 2011. Morgan PJ et al. (2012). The impact of a workplace-based weight loss program on work-related outcomes in overweight male shift workers. Journal of Occupational & Environmental Medicine. Morgan PJ et al. (2011). Efficacy of a workplace-based weight loss program for overweight male shift workers: the Workplace POWER (Preventing Obesity Without Eating like a Rabbit) randomized controlled trial. Prev Med. 52: 317-25. Collins CE et al (2013). Improvement in erectile function following weight loss in obese men: The SHED-IT randomized controlled trial, Obesity Research and Clinical Practice, 7 (6), e450-e454. Who should use Workplace POWER? Overweight men or women (BMI 25-42 kgm-2) aged >18 years, looking to shed a few kilo’s, with access to a mobile phone or computer with internet facilities. Can women use Workplace POWER? The information delivered in Workplace POWER is just as relevant for women as men and many men participating in our previous Workplace POWER programs have used the program with their wives/partners as a great way of motivating each other and losing weight together. If you are a woman seeking to purchase Workplace POWER, you will simply require our small addition to the program resources which provides weight loss calculations specific to women. Additionally, women who are pregnant or breast feeding should seek professional medical advice prior to using Workplace POWER.